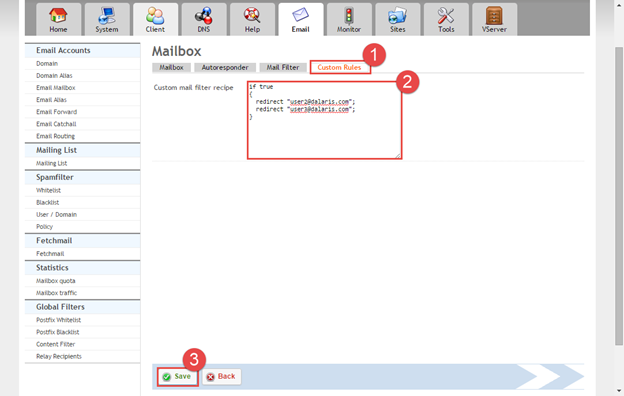 In ISPConfig3, click the Email tab, choose Email Mailbox, and enter user1 to search for the mailbox then press Enter. 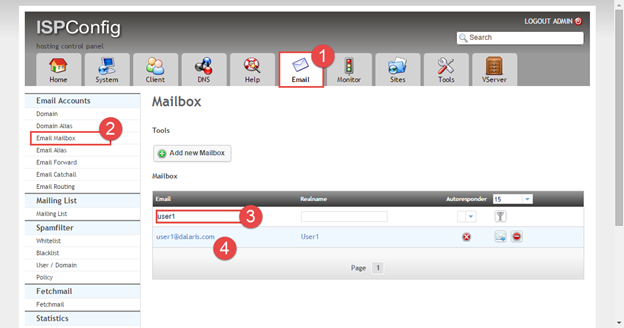 When the mailbox appear in the result table, click on the email address. Click the Custom Rules tab, enter the eblow text, and click Save. Now email sent to user1 will be forwarded to both user2 and user3.